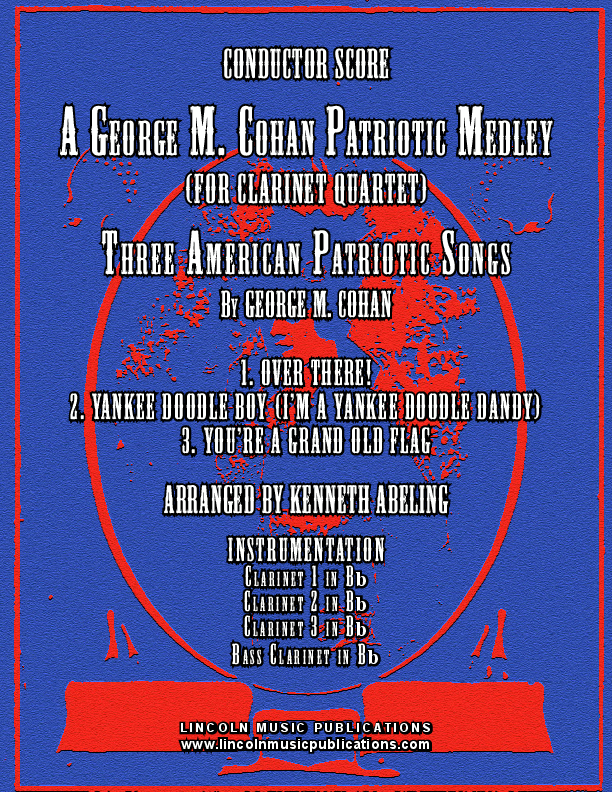 This is a collection or medley of three of George M. Cohan’s favorite patriotic songs arranged for Clarinet Quartet. The songs include; 1. “Over There!”, 2. “Yankee Doodle Boy” (commonly referred to as “I’m A Yankee Doodle Dandy”) and 3. Grand Old Flag. This collection can be played as individual songs or as medley. It should be playable by a good middle school group but advanced and professional musicians will find use for this arrangement during patriotic holidays and certain ceremonies.